The beguiling seaside city of Carmel-by-the-Sea, California, is world-renowned for its small-village ambiance, its great shopping, world-class restaurants, and gorgeous white-sand beach and for being one of the most pet-friendly cities in the country. 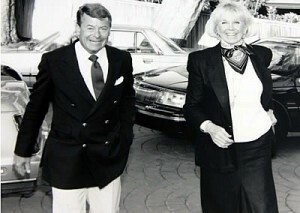 Co-owned by legendary singer, actress and animal activist Doris Day and Dennis LeVett for more than 20 years, Cypress Inn masterfully blends Old World hospitality and service with modern comforts and amenities. 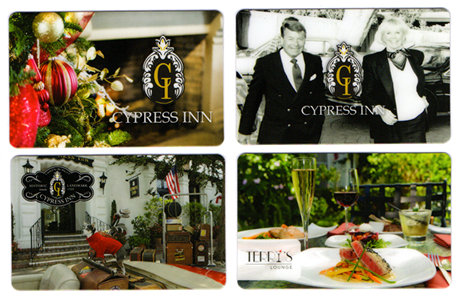 Cypress Inn has been Carmel’s most beloved boutique hotels since it opened in 1929. By combining Mediterranean grace and charm with warm hospitality and exemplary service, Cypress Inn has drawn everyone from kings, queens and Hollywood royalty to the everyday traveler, and especially all those who like to travel with their pets. Cypress Inn has been a pioneer in pet-friendly accommodations, firmly believing that pets of all shapes, sizes and breeds are an integral part of the family and welcome to join their humans during their stay at the hotel. The Cypress Inn enjoys a rich history. In 1906, Sidney J. Yard, an artist known for painting watercolors in the English manner, built Carmel’s first art gallery on the site. The space was later used by another famous artist Miss Mary DeNeale Morgan. In the 1960’s, Earl E. McInnis and his son, Frank, took over management of the hotel and newly renamed it “Cypress West”. It was restored and upgraded to its original splendor, enticing many of its nostalgic guests to return to their favorite hotel.